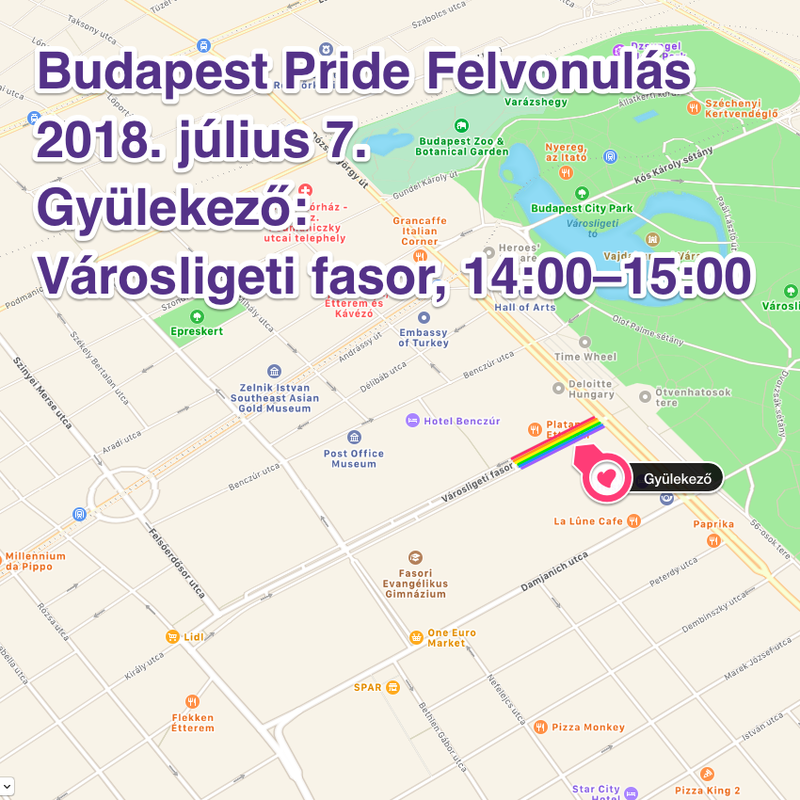 The meeting point of the Budapest Pride Felvonulás 2018 • Merj nagyot álmodni (Budapest Pride March) will be at 2 PM on 7th July at Városligei fasor! Be there on time! The march must be about us fulfilling our dreams together. The events of the Budapest Pride Festival, which is going to last one month for the first time in Budapest and in other towns of the country, are organized by NGOs, informal groups, and private persons. Let’s share our dreams with each other and let’s unite to make them come true during the Pride Month. Let’s draw attention to topics of which we don’t talk enough in our everyday lives. Come with us, and let’s let everybody know that giving up is not an option. We deserve to love, decide, make mistakes, and express our true selves freely without fear - let’s dare to dream big because we can make our dreams come true. Let’s meet at Városligeti fasor on July 7th at 2 PM. and go together to Kossuth tér. We’ll do everything so that you can join the march on the way. The detailed program is coming soon.